Returning to Earth, Megan Duncan and Rajdeep Dasgupta (Rice University, USA) published a paper in Nature Geoscience linking the rise of atmospheric oxygen to the deep carbon cycle. Based on high pressure-temperature experiments, they contend that the Great Oxidation Event, which occurred 2.5 to 2.2 billion years ago, is causally linked to the mobilization of organic carbon in subduction zones and deep sequestration of reduced carbon in the mantle. According to Duncan, “The study indicates that the rise in oxygen levels and the ability of the atmosphere to support life as we know it is strongly tied to the plate tectonic cycle.” It demonstrates connections between the deep carbon cycle and the conditions for life at or near the surface of a planet. These are but two examples of how DCO scientists are unraveling the mysteries of life on Earth and other planets. Recent studies suggest that before a volcano erupts, it ramps up its release of carbon dioxide from magma deep below the surface. These fluxes may provide an important early warning signal that an eruption is imminent. Researchers can measure volcanic gases using sampling instruments, but they must install these devices at the rim of the crater, placing both themselves and the instrument at risk. Alessandro Aiuppa, along with fellow Reservoirs and Fluxes Community members Roberto D’Aleo (both of the Università di Palermo, Italy), Marco Liuzzo and Gaetano Giudice (both of the Istituto Nazionale di Geofisica e Vulcanologia, Italy), and colleagues from ENEA (Agenzia Nazionale per le nuove tecnologie, l’energia e lo sviluppo economico sostenibile), have developed a new generation of instruments to measure volcanic gases remotely. They successfully used a type of laser scanning technology called LIDAR to measure carbon flux at Stromboli volcano, described in a paper in Frontiers in Earth Science, and at Mt. Etna, published in a study in the journal Geosciences. The work receives funding from the ERC (European Research Council) BRIDGE project and is in collaboration with DECADE (Deep Earth Carbon Degassing), a DCO initiative to estimate the global release of volcanic carbon by monitoring some of Earth’s most active volcanoes. Read more.. This workshop is aimed at developing a strategic plan for drilling into the continental crust-mantle transition in the Ivrea-Verbano Zone. In this first in a series of five webinars, DCO Data Science Team members Peter Fox and Kathy Fontaine will teach participants how to get up and running on Jupyter Notebooks as a tool for data science. In May 2017, the Japan Geoscience Union and the American Geophysical Union will hold the first joint meeting of the two societies. More than 50 sessions, covering all areas of the Earth and space sciences, will be presented in English for inter- and trans-disciplinary scientists. In the second webinar in the series, Extreme Physics and Chemistry member Shaunna Morrison and Data Science Team member Ahmed Eleish join forces to demonstrate how to turn large data sets into dynamic visualizations showing network connections. In the third webinar in the series, DCO Modelers Mark Ghiorso and Dimitri Sverjensky will show you how to use Enabling Knowledge Integration (ENKI) tools for modeling deep Earth fluids, chemical reactions, and transport. Goldschmidt, the foremost annual, international conference on geochemistry and related subjects, will be held in Paris in 2017. View sessions of interest to DCO. This workshop will bring together the next generation of researchers active in deep carbon studies from around the world. In the fourth webinar in the series, DCO Modeling and Visualization expert Louise Kellogg and colleagues will present a blueprint and virtual “construction manual” for integrating different types of data into a box model. Seattle, Washington, is the location for the annual meeting of the Geological Society of America and includes opportunities for local field experiences. The school will provide a general overview of the recent advances in diamond research, combining geology, exploration, and gemology of diamond. Pre-registration now open. A post-doctoral position at Iowa State University is available to perform experimental research on coupled plastic flow, phase transformations, and other structural changes under high pressure and torsion of a sample in a rotational diamond anvil cell. Experience with in situ high-pressure experimentation and/or x-ray characterization of stresses and structural changes in materials at the micron scale is desired. Close collaboration with theoretical/computational collaborators and with Ames Laboratory of DoE is expected. The Department of Earth and Environmental Science and the Center for Energy Research at the University of Pennsylvania seek graduate students interested in any of the following research areas: geomicrobiology, ecology, microbe-microbe and microbe-mineral interactions, biogeochemistry, ecophysiology, and bioenergetics. The successful applicants will be awarded a PhD Fellowship package that includes: tuition, fees, health care, and stipend for living expenses. These packages are available starting Fall 2017. If efforts to reduce carbon emissions fail and the world is barreling toward unchecked global warming, are there any last ditch strategies to save the planet? 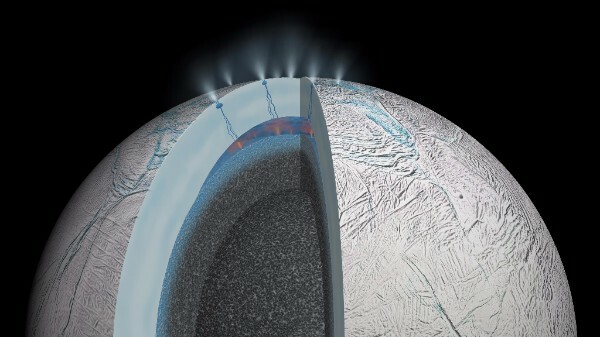 Could icy moons like Saturn’s Enceladus in the outer solar system be home to microbes or other forms of alien life?